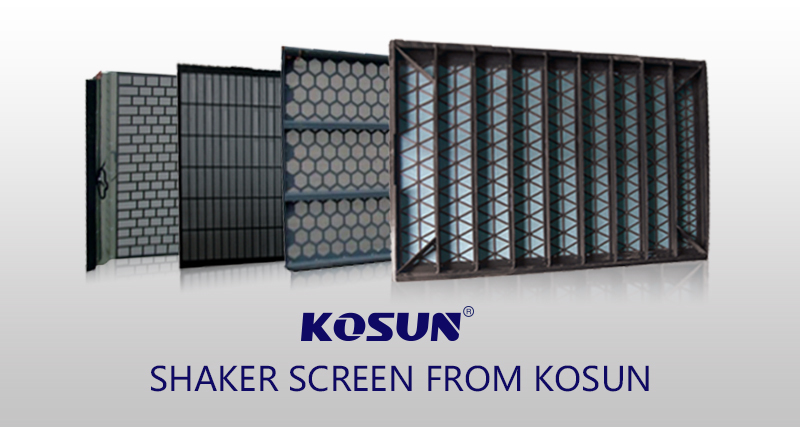 Shaker screen is one of the most important part of shale shaker. Its main function is to separate the mixture of drilling fluid and the solids from the holes. It comprises of a screen frame that can of steel or plastic material, screen mesh that resembles woven thread like structure and a binding material that binds the frame and the mesh. The size of the solids that will be separated, depends on the size of the screen. 1) Hook Strip – It is available with metal lining of different sizes that matches with the screen mesh. Because of the accurate matching, screen life is greatly improved, decreasing the need to replace it frequently, thereby making it cost effective. It is also known as backing screen. 2) Pretensioned – It provides with greater capacity screening and improved screen life. – Most common material that is used for the screen is stainless steel. This stainless steel must be corrosion and rust resistant. Different manufactures use different qualities of steel for mesh and also their mesh weaving techniques are different. – The greater the number of layers of the mesh, greater is its strength and durability. In another words, quality of a shaker screen can also be determined by the number of layers it has. – Quality can be compared on the basis of how large is the screening area that is amount of mixture that can be filtered in minimum possible time. – Also, greater the screening area, the load on the mesh will be distributed more that will reduce the wear and tear of mesh, increasing its life. Welcome to contact us! We are looking forward to cooperation with you.